for guaranteed Full-Coverage Insurance Plans... members welcome. We also provide the Best and the very best French translations (traduction bilingue) and Interpretation Services in the global emerging environment, Paralegal Research Services at your finger tips and Notary Public on the spot. Making life easier for everyone has never been an intimidating task for us at the Fomukongs Professional Enmvironment. For more information about our premier umbrella insurance commercial products, do not hesitate to come by our office in Hyattsville, Maryland. Make an appointment or walk in if you feel comfortable taking us by surprise. We are here to serve. "Qui dit traduction, dit Fomukong" aggrege de l'universite de Tours, France. We are most easily accessible now that we are located at the intersection of University Blvd. E. and Riggs Road. Insurance Coverage with a very high degree of Integrity, Total Devotedness and Commitment with Steadfast Dedication and God's True Love and Devotedness. We are also licensed in Georgia, Virginia, Delaware and Tennessee. Additionally, we offer a wide range of helpful business services, including French translations, (Fon-Fomukong, Emmanuel) - the CEO being a product of the Universite de Tours, France) proofreading, and drafting of legal instruments. Contact us at (888) 510-0620 to sign up for one of our affordable insurance plans and our expert paralegal and French translation and Interpretation services. We will arrange to accompany you to the Immigration hearing if you are French Speaking and need our resilient unparalleled sylmultaneous or consecutive interpretation services. At the Fomukong's Insurance Group and Services, Inc., we offer protection for businesses and individuals from all walks of life. We carry specialized insurance plans for middle-class families, senior citizens, businesses, and even E & O for new agents seeking to start an insurance agency. If you are unable to obtain coverage from other agencies or carriers, give us a call today at (888) 510-0620 and we will make every effort to find you the perfect plan to suit your needs and circumstances. The newest kid in our block of coverages are our IMG product and the Mutual of Omaha Supplemental Medical Insurance products. Travelling throughout the World with our health policy is a no brainer. Our IMG product will also repartriate and even make sure a relative travels overseas to take care of your child or minor when things get rough or tough. No more jokes travelling abroad. With the Fomukongs, you are covered here in America and even abroad on mission or just visiting friends and family members or on tour. With the Fomukongs, you will never be in the cold even at sea in the Artic pole. 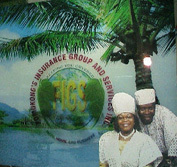 Tragedy ia not knowing the Fomukongs and their guidance in the insurance industry. At the Fomukong's Insurance Group and Services, Inc., we promise to uphold steadfast dedication and integrity with every transaction we complete. Our team strives to provide the best possible coverage to suit your individual needs and protect you from every possible hazards. No other agency is better suited to protect you, your family, and your business at home and even abroad. Our French translators and French Interpreters are the best in the industry. Our clients comprise a culturally diverse group that spans every corner of the globe. As such, we provide highly diversified insurance options to satisfy your individual coverage needs. We will even provide coverage to foreign drivers and clients with international driver's licenses–something that many other agencies will not do. Contact us at (888) 510-0620 to discuss your umbrella insurance options with our friendly agents. in the Insurance Industry and French Translation and Interpretation field of expertise.